As the real estate industry experiences peaks and valleys, so does real estate litigation. Currently, the local area is experiencing a real estate boom, which only increases the number of lawsuits filed. At DLJ, we have achieved favorable decisions and settlements on behalf of our real estate clients. DLJ has successfully handled cases and resolved legal disputes on behalf of real estate developers who have made significant land investments. Disputes often arise over environmental problems or legal descriptions that are overlooked. Allegations of fraud, conspiracy, breach of contract, misrepresentations or omissions in an environmental consultant’s report can all result in lawsuits. 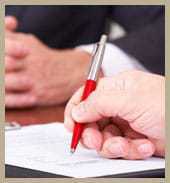 To handle those complex cases, you need a seasoned real estate litigation attorney. A real estate project of any size is on a strict timeline and budget. Litigation delays those projects and puts their future in doubt. Real estate developers have a great deal of money on the line and need advocacy by an experienced real estate litigation attorney to handle those issues quickly and effectively. While millions may be on the line, the reputation of your real estate development company is at stake as well. For more information or to schedule an appointment with an experienced real estate litigation lawyer regarding legal issues related to commercial real estate, residential real estate, and commercial leasing, please contact us.